Happy New Crappie Years everyone!!! 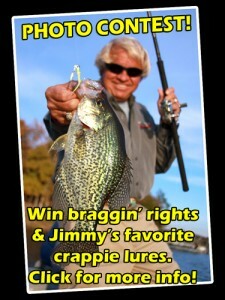 What is your crappie New Year’s resolution? Mine is to exceed my big Crappie of 2015, a whopping 3.19, grow the sport for all by spreading knowledge and enjoy every day fishing that I can. 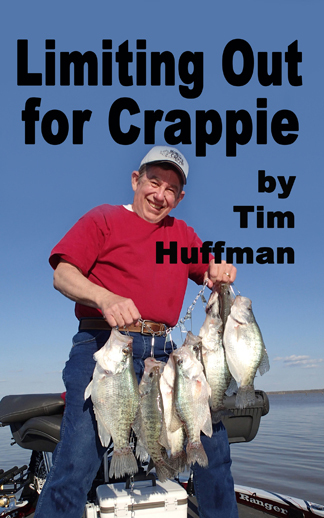 The past five years I’ve focused upon crappie fishing. During these five years the “sport” and sharing of knowledge has grown beyond my expectations. 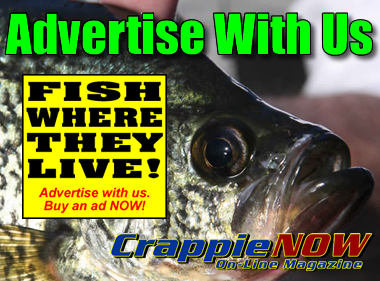 Many avenues now exist for anyone wishing to obtain crappie fishing knowledge and compete on a national level as well in numerous large crappie clubs and regional tournaments. Web based digital magazines; social media via Facebook, Twitter, and You Tube are at everyone’s fingertips. Printed books, eBooks, eblasts, newsletters, etc. exist to provide the knowledge to fish like the pros. 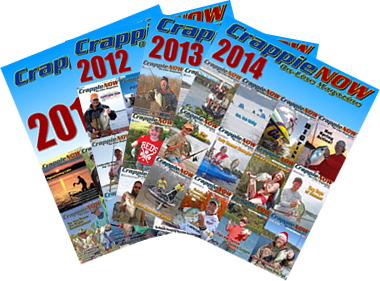 Our CrappieNow vision and continued goal is to produce a quality crappie resource for you, the reader. This quality is attained by keeping the best writers, sources of information, and usability simple. Awards from national writer and publicist associations are testimonies to the quality, however, in the end it is in the usefulness and applicability you attain from what we publish. Please feel free to contact us concerning future content articles. Sharing ideas, fishing techniques and new innovations have fostered the growth and availability of new products to enhance our fish catching performance both in numbers and size of fish. Close held secrets in one part of the country work very well anywhere with very minor adjustments. Now more than ever, we can have the expectation that a new record crappie can become a reality. Crappie fishing is a great family outdoor sport. Watching a son, daughter or grandchildren catch a fish of their lifetime will never be forgotten. New legends can be born each day while experiencing the great outdoors in all its beauty. I live to see each and every beautiful sunrise and sunset. It is God’s way to introduce new life and closure to each and every day. Together, lets make 2016 the best year yet.